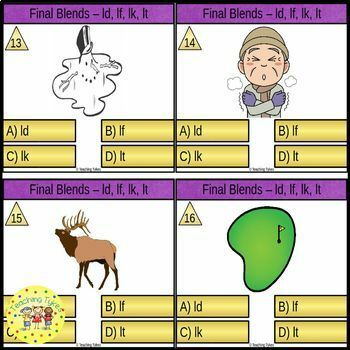 Final Blends practice for ft, mp, sk, st, ld, lf, lk, lt, nd, ng, nk, and nt. 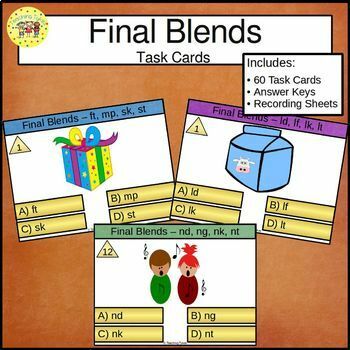 Each of the 60 Final Blends Task Cards has a picture and final blend answer choices. 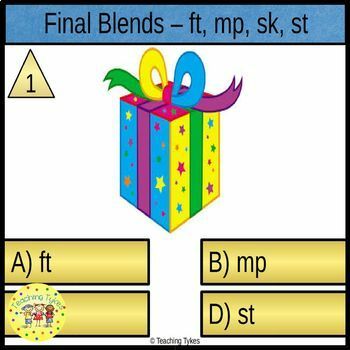 Learners write the correct final blend choice on their recording sheet, AND your students can track their own performance with the answer key. It really is great for word work and literacy centers!!! 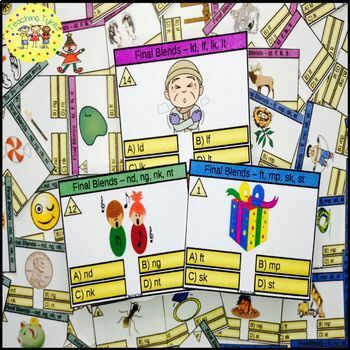 ★ Check out my other Phonics/ELA Resources!